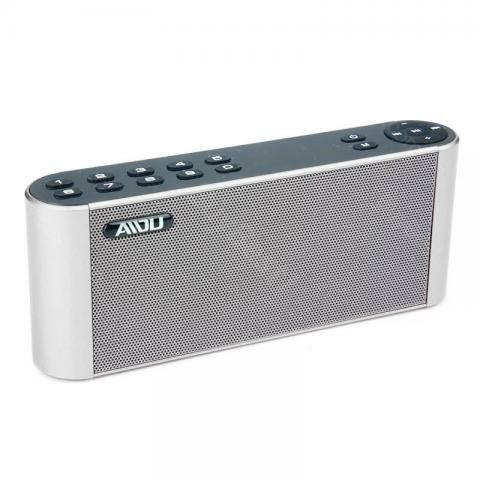 Q8 Bluetooth Speaker with Radio features Bluetooth 3.0 technology for lower energy consumption.It also can be used as a radio. With its LED display screen, you'll be able to know the data status clearly. • Bluetooth 3.0 technology for lower energy consumption but more stable connection and faster transmit speed. • Bluetooth wireless design for connecting to any Bluetooth enabled smart devices. • LED display screen let you know the working status of the speaker. • 2200mAh removable and rechargeable lithium-ion battery supplies longer playing time. • Very easy to set up and use, your Bluetooth is ready, your music is ready. 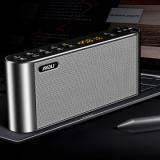 • Play music directly from TF card, USB and 3.5mm audio devices gives you a convenient playing experience. • Built-in microphone allows you to answer your calls in a hands-free way. • Support FM auto-scan function. • Quick link: Portable Sailing Bluetooth Speaker. FIVE STARS!!! Love this speaker and customer service is excelleny!!! It's a tight little package but Flooded with Bass... so much so that it wants to bounce... but that's cool because the rubber bottom surface holds it firmly in place. Keep in mind, I'm hung like a mule with a package that often gets me pulled aside in the airport security line... Umm... I forget where I was going with that thought, but whatever.... BUY THIS SPEAKER!!! You'll love it, Promise!!! I love this speaker! Setup was very easy. I have it set up on my 2016 MacBook Pro and my iPhone. It sounds amazing and Alexa works very well but she says some skills are not compatible. I will definitely save for another Sonos One. I also cannot wait for AirPlay 2 support; please hurry up!! Exactly what I was looking for... I just wanna sing in the dang shower to my hearts content. Glad that it comes with a little d-ring to hang it up, suction cups don't work in my shower. Excellent sound, easy to use, great value. My poor dog disagrees... is now subject to my singing.